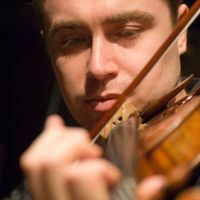 Winner of numerous prizes including the BBC Young Musician of the Year Competition and the Parkhouse Award, violinist Rafal Zambrzycki-Payne was born in Lodz, Poland in 1978. He studied with Wen Zhou Li at the Yehudi Menuhin School and at the Royal Northern College of Music in Manchester, and subsequently in Vienna with Gerhard Schulz. His studies have been generously funded by various organisations including Ashurst Morris Crisp and the Herbert von Karajan Centre in Vienna. Recent engagements have included a tour with the Polish Youth Philharmonic, a recording of Zbigniew Baginski's Violin Concerto with the Polish National Radio Symphony as well as performances with the National Opera Orchestra and the State Youth Orchestra in Armenia. As a soloist, Rafal has appeared with the London Philharmonic, Royal Philharmonia, Philharmonia, Bournemouth Symphony, BBC Concert Orchestra, English Chamber Orchestra, Royal Scottish National Orchestra, Royal Liverpool Philharmonic and Northern Sinfonia. Further afield he performed with the KZN Philharmonic in Durban, Johannesburg Philharmonic, Sinfonia Varsovia, Armenian Chamber Orchestra, Danubia Symphony in Budapest, Munich and Zurich Chamber Orchestras among others. He had the honour of working on several occasions with the late Lord Menuhin as conductor. In 2009 Rafal gave the Polish premiere of Hanna Kulenty's 2nd Violin Concerto with the Polish National Radio Symphony at the Warsaw Autumn Festival. He performed Khatchaturian's Violin Concerto for the composer's centenary celebrations with the Armenian Philharmonic Orchestra and gave the British premiere of Alexander Arutunian's Violin Concerto, as well as performing the work at the composer's 85th Birthday Concert in Yerevan. In 2004 Rafal was appointed the Solo Violinist/Leader of the Frankfurt-based contemporary music group Ensemble Modern, as part of which he regularly performs in many of the world's prestigious venues and festivals. Numerous solo appearances with the Ensemble Modern have included Ferneyhough's Terrain at the Salzburg Festival, Berg's Chamber Concerto at the Schwetzingen SWR Festival and in the Alte Oper Frankfurt, and Milhaud's Concertino de Printemps at the Kurt Weill-Fest in Dessau. In demand as guest-leader, Rafal has worked in this capacity with the Orchestra of the Academy of Santa Cecilia in Rome, Scottish Chamber Orchestra, Royal Scottish National Orchestra, Munich Chamber Orchestra as well as with the Philharmonic Orchestras in Strasbourg and Monte Carlo.